Construction is nearing completion at the Lincoln Park Operations Center! Construction progress on the lower level of the Lessner Building. Lower level demolition in advance of stair installation. Exciting progress on street level construction at the Lessner Building! Major steps towards opening up the north side of Union County College’s Lessner Building. 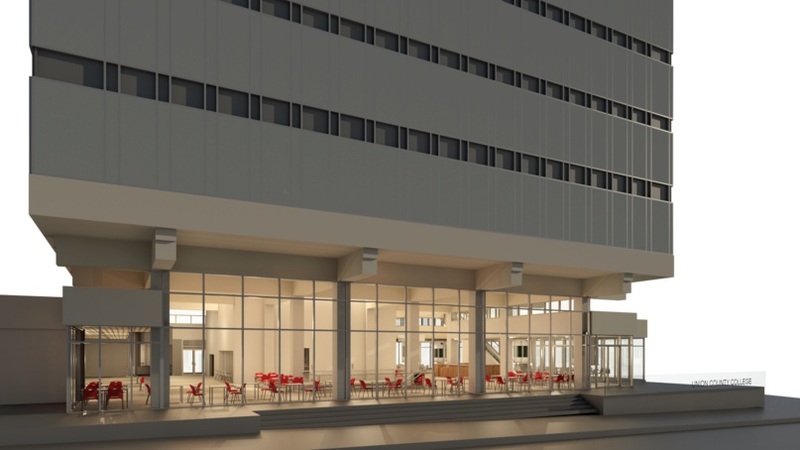 This project will create a welcoming entrance that opens the new student commons space to the street, connecting with the community and activating the urban corridor. 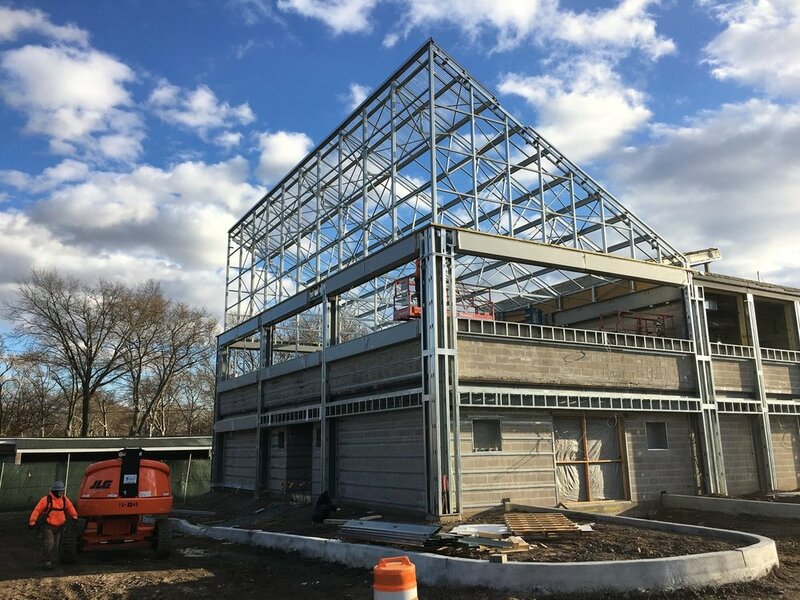 Check out progress on the Lincoln Park Operations Center greenhouse construction. Take a look at how it all comes together in our time-lapse video documentation! Demolition is underway at Union County College’s Lessner Building! Lincoln Park Operations Center construction is underway! The new facility will include offices, vehicle storage, workshops and a greenhouse for the Hudson County Parks Department. We will be documenting progress throughout the summer. 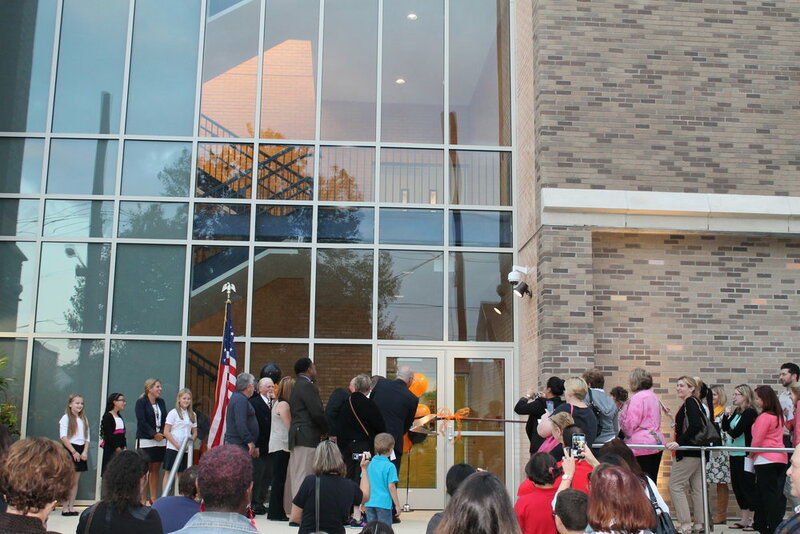 The Hudson County Administration Building Annex Ribbon Cutting took place on Thursday, March 10th, celebrating the official opening of the new County Freeholder chambers on the first floor of the County Annex building. Following the ribbon cutting, Hudson County Executive Tom DeGise delivered his annual state of the county address. 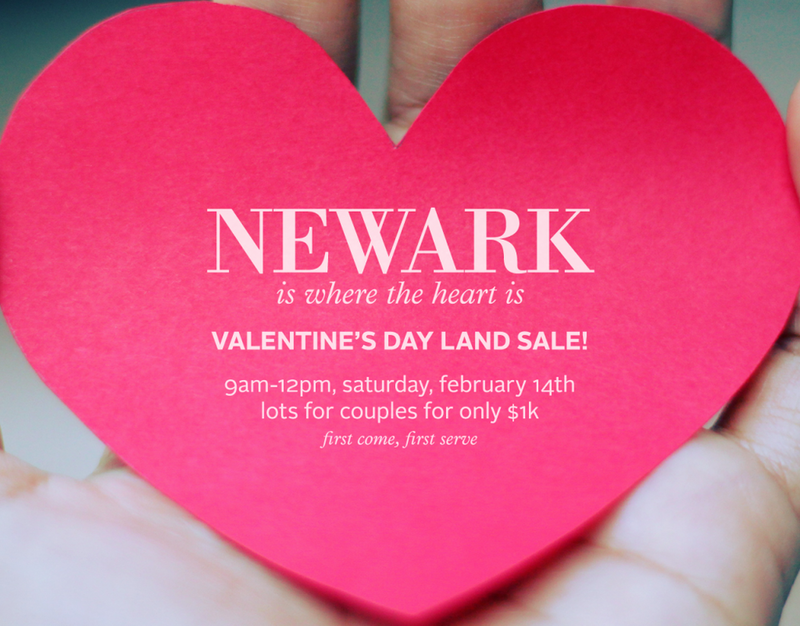 The City of Newark has announced the launch of Phase II of the Newark's Valentine's Day Redevelopment Program. The Musial Group Architecture is excited to continue working with Kean University chapter of lota Phi Theta on their community development project, Home for the Homeless. While the fraternity regularly engages in community service projects, this particular project was developed with the hope of providing an enduring and substantive legacy. The fraternity purchased the property through Newark's Valentine's Day land sale last year with the intent of constructing a new, two family home to act as a transitional home for homeless families. The Musial Group Architecture has donated design and construction administration services for the two family home. 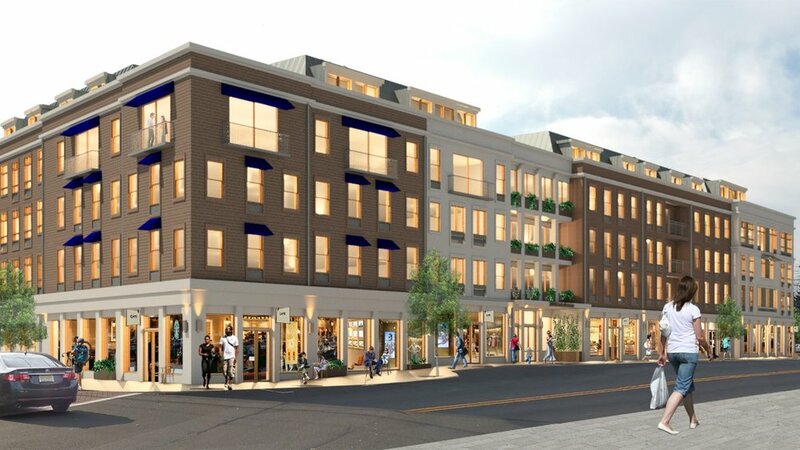 At their special meeting, the Springfield Planning Board granted preliminary approval for the downtown mixed-use redevelopment project on Morris Avenue. The proposed project consists of a four and a half story residential building with approximately 30,000 square feet of commercial/retail space. 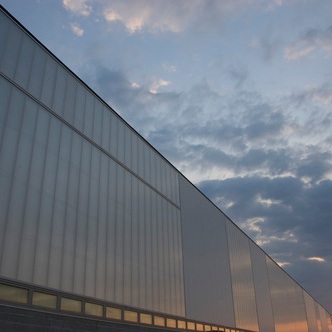 The Musial Group Architecture has been recognized by the NJ Chapter AIA with an Excellence in Architecture Merit Award for the Garwood Athletic Complex in the Built-Open category. The 2015 Design Competition included over 100 design entries. For more information about this year's AIA New Jersey State Convention visit the AIA NJ State Convention Recap and the Commercial Construction & Renovation article, Garden State's Top Architects Honored. The USS Juneau Memorial Center was dedicated on November 13th to honor the crewmen of the USS Juneau cruiser that sunk during battle in World War II. The Juneau Center rehabilitation led by The Musial Group now houses offices and serves as the Command Center for the Hudson County Office of Emergency Management. Photovoltaic array installed on the roof of the Juneau Center. Wind turbine is up at the Juneau Center! We get excited about energy recovery! This photo is of the energy recovery wheel inside the ERU at the Juneau Center. Depending on the season, this wheel captures energy and either pre-heats or pre-cools outdoor air, allowing us to reduce energy loads. This lessens operating expenses and energy costs over the lifetime of the building, while also saving upfront costs due to smaller sized units. 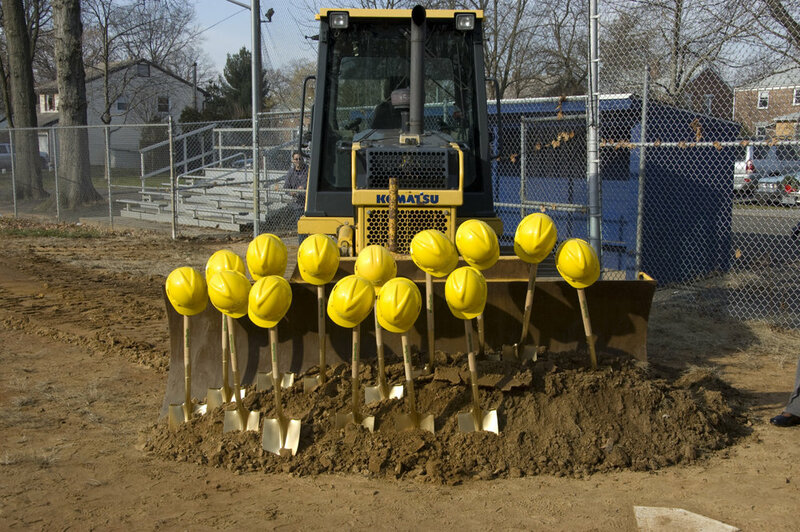 Garwood breaks ground on the Athletic Field Complex. Excited to get started! Additional information and photos of Saturday's ceremony is featured in the Garwood Patch.